I know that Sasquatch wouldn’t like to hear it, so why should I? It’s just disappointing. When I hear these kinds of statements, I don’t feel like I’m making a good choice, I feel like something is being taken away from me. I love beef, good beer, butter, sugar and full-fat cheese. They’re delicious. That’s why I choose to eat them. The thing is, I also choose to eat the “instead’s”… I just do so on my own terms; I make them taste good. 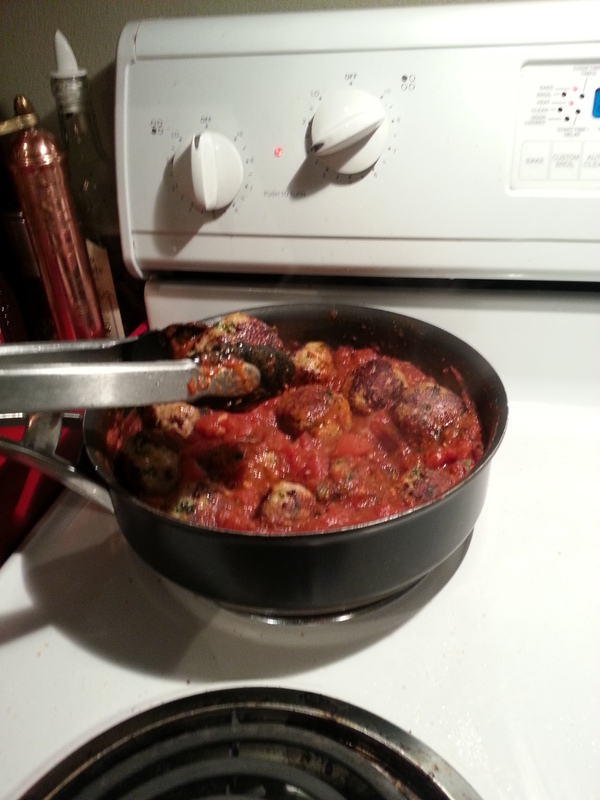 To make the sauce, heat olive oil in a sauce pan over medium heat. 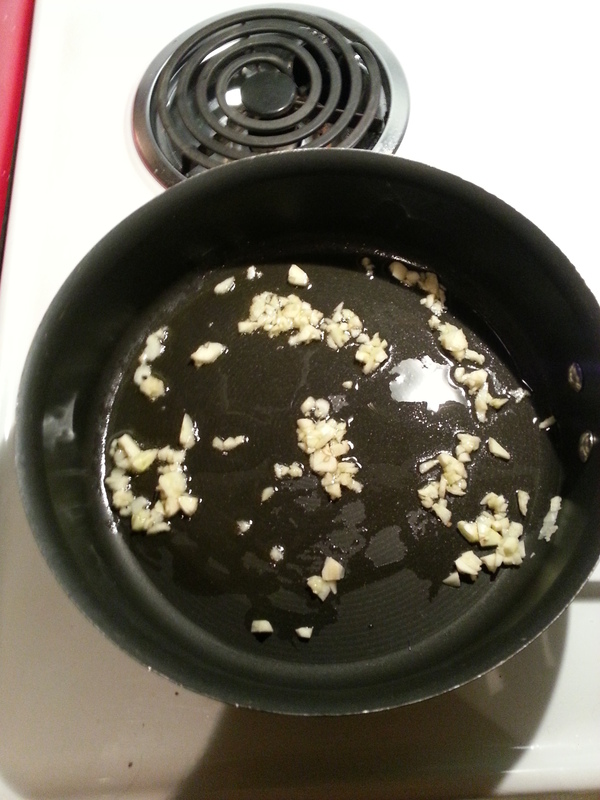 Add the garlic, and cook (stirring) for 1 minute. 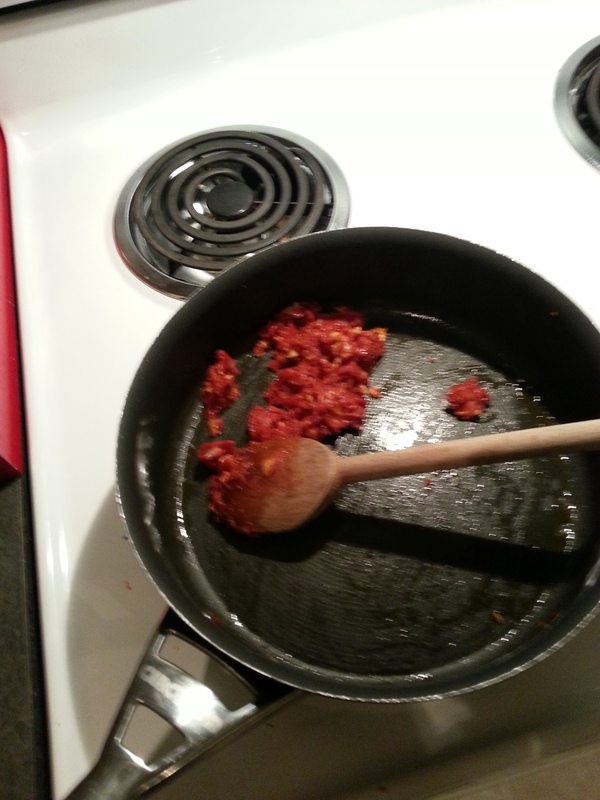 Add the tomato paste, and cook (stirring) for 1 more minute. This will produce this weird brownish-red paste, with slices of garlic mashed in… don’t worry, it’s supposed to look like that. Mix in the tomatoes, herbs, and a pinch of salt and pepper (canned tomatoes have plenty of sodium already), bring to a boil, and then simmer, stirring occasionally, for 15-20 minutes. 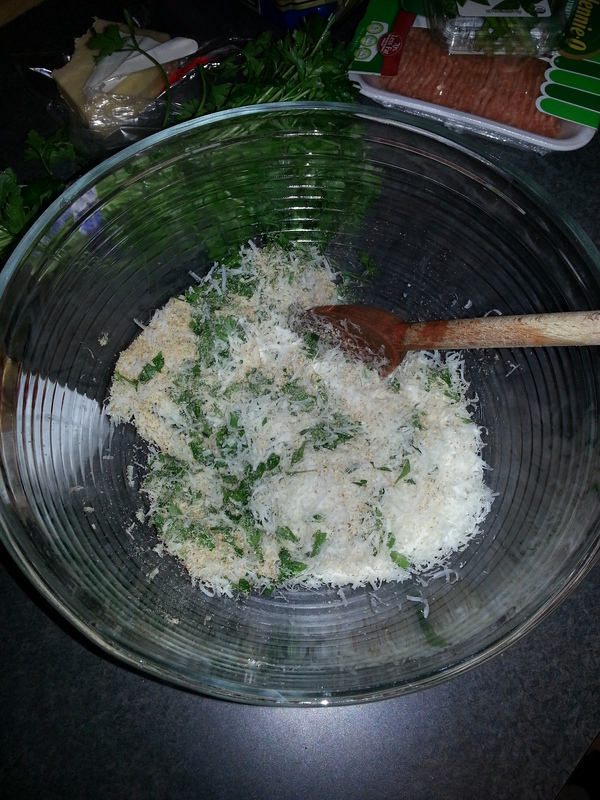 To make the meatballs, begin by combining the breadcrumbs, parmesan, parsley, basil and garlic in large bowl. Mix the ingredients with a spoon until they’re well-combined. Add the milk to this mixture, and stir until it’s well-mixed. 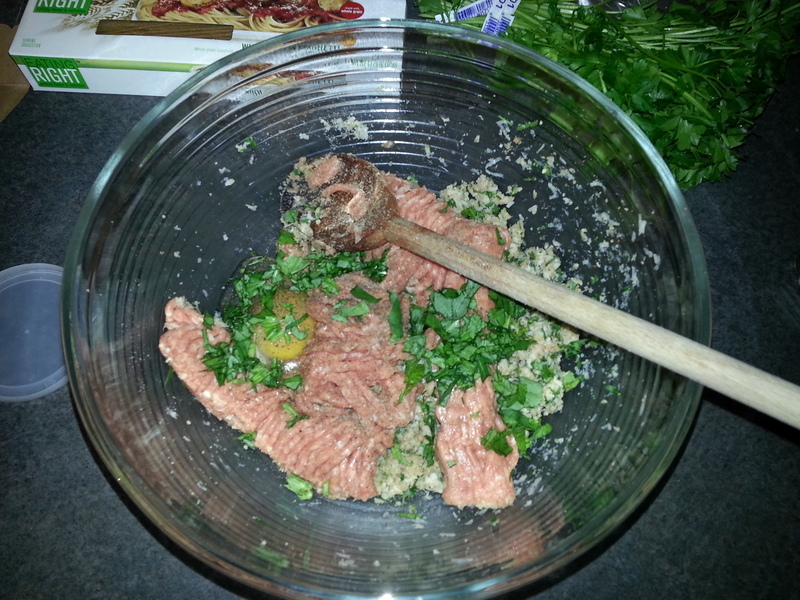 It will form chunky (but pleasant-smelling) paste. Add the turkey, egg, and a pinch of salt and pepper (and the crushed red pepper if you like some spice, and then dig in with your hands… it’s the only good way to mix it up ;). 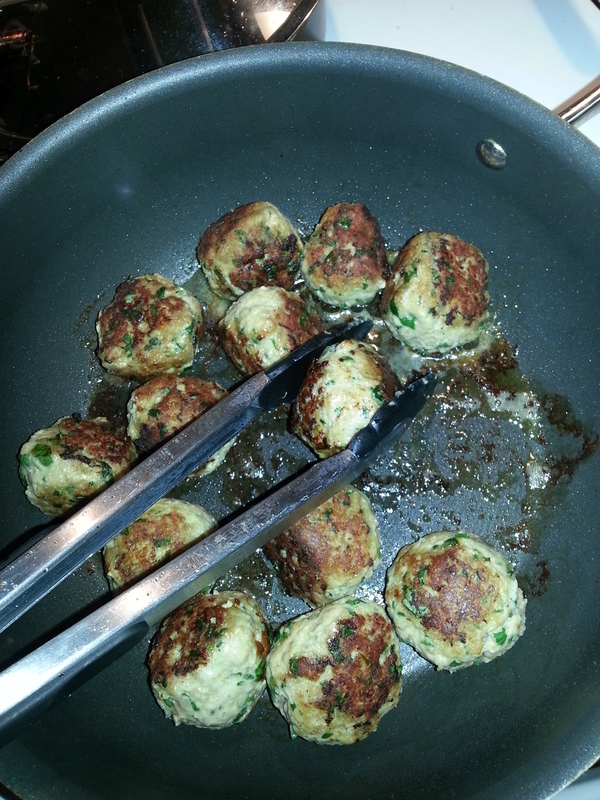 Form the mixture into medium-sized balls (about 1.5 – 2 inches). Heat the oil in a large, non-stick pan over medium heat. 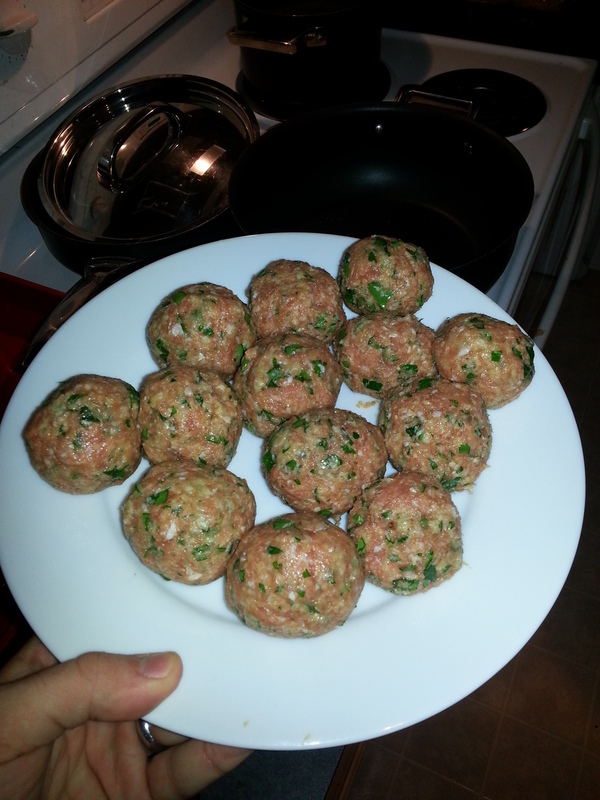 Cook the meatballs, turning them often, until evenly browned. This may take 6-8 minutes or so. 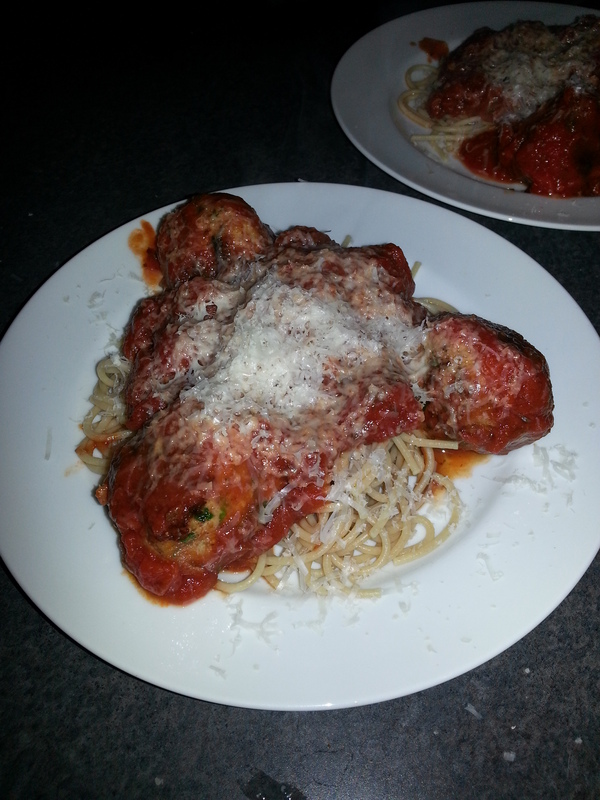 Transfer the thoroughly browned meatballs to the sauce, and simmer for 10 minutes to finish cooking. 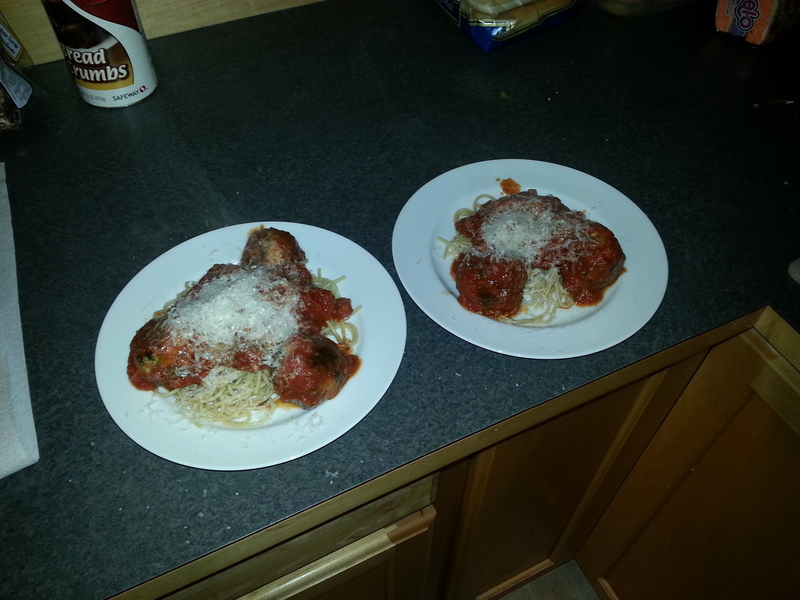 This final ten minutes is also a good time to cook the pasta. Serve and enjoy! I know I did!